In August, the Trump administration said it was considering a rule that would penalize green card applicants if anyone in their family had ever relied on a safety net program, such as food stamps or Medicaid. It’s estimated that in New York City alone, a million immigrants would be affected by the new rule and perhaps forced to choose between their green cards and putting food on the table. The public comment period on it ends next week. Then there is the administration’s push to add work requirements to the food stamp program and Medicaid, part of an executive order President Trump signed in April. A new farm bill has been held up for months by the insistence of Republicans in the House that the already stringent work requirements for food stamps be toughened. Work requirements have been successfully piled onto Medicaid recipients. The administration encouraged states to apply for waivers that would let them impose work requirements, and some have started to do so. In Arkansas, the first state in the 50-year history of the program to insist that poor people who are not disabled find work or go without health care, more than 4,300 people were dropped from the rolls in a single month for not adhering to the new rules. With the administration’s blessing, several other states are poised to follow suit. 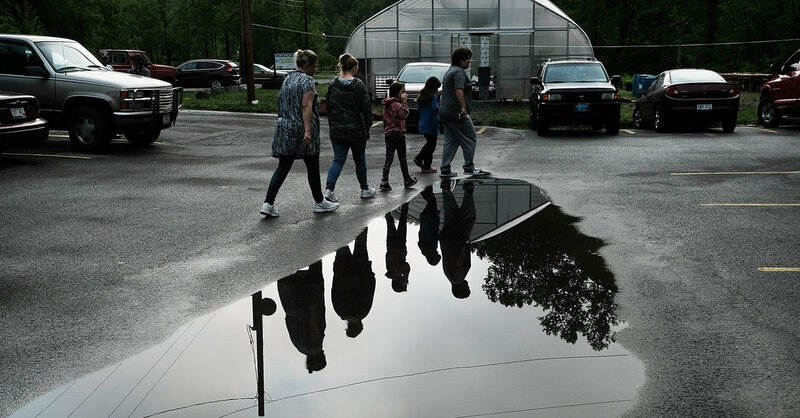 When social safety net programs like these are on the political agenda, advocates tend to talk about what the right thing to do is for poor families, while their adversaries paint those families as fraudsters who squander taxpayers’ dollars. What we really should be talking about is the profound impact these programs have on the welfare of these families’ children, and what that means for our economy and the future of the country. Consider the way the debate around early education changed after the evidence showed that preschool had long-term effects on everything from educational achievement and employment to rates of incarceration. After economists translated those gains into dollars-and-cents dividends, states started to increase spending on prekindergarten, with solidly Republican states like Oklahoma and Georgia leading the pack. This fall, Congress approved a $260 million funding increase for early-childhood programs. The safety-net initiatives haven’t been viewed in the same light. A 2018 study by the economists Hilary Hoynes, at Berkeley, and Diane Whitmore-Schanzenbach, at Northwestern, concludes that since 1990, these Great Society programs have taken a hammering. Children in the poorest families have suffered the most, as benefits going to those families have been cut by more than 20 percent. This is a mistake. “We have evidence that the social safety net is an investment,” Dr. Hoynes told me. Children whose families receive food stamps, Medicaid and tax credits are more likely to remain in school, avoid crime, be healthier and live longer. One study found that if a family got an extra $1,000 tax credit during their child’s senior year in high school, the teenager was more likely to go to college. The gains are biggest for the youngest and poorest children, and the longer they get this kind of help, the better off they are. What’s more, the benefits are intergenerational — when mothers enroll in Medicaid they are less likely to have low-birthweight babies, insulating their offspring from a host of possible complications that range from heart disease to intellectual disabilities. The magnitude of the benefits from social safety net investments is becoming clearer with each new study. If the Trump administration has its way, poor children are more likely to remain poor for the rest of their lives, with taxpayers obliged to keep them afloat. As the marketing slogan goes, pay me now or pay me later. David L. Kirp is a professor of public policy at the University of California, Berkeley, a senior fellow at the Learning Policy Institute and a contributing opinion writer.